This post brought to you by Curvation. All opinions are 100% mine. Fall is fully underway and I must say this is my favorite season to dress. The weather is comfortable and I get to wear more layers. I can just pile on the fashion. 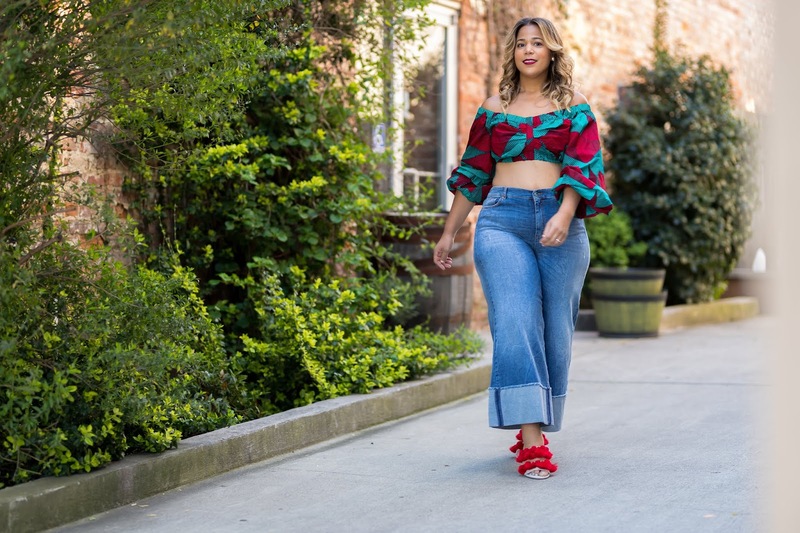 I wanted to chat a little bit about my favorite trends happening for fall right now and possible bra options for each look. I am a firm believer in the right bra for each look. The first trend that has me drooling is winter white. It’s such a clean look. One thing about winter white is that the color loves to highlight any bump or roll one may have. 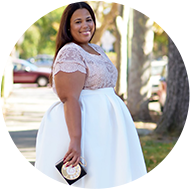 I paired the winter white with Curvation's back smoother bra, so that it can smooth out any issues that may arise from this unforgiving color. The second trend is houndtooth. This is a prevous look for fall that I wore. I thought the lift and support would be the perfect bra. Since this look is belted you want to make sure the girls aren’t falling past the belt line. Finally, I am totally gushing over the velvet trend. Since this dress has a deep scoop neck I decided to pair with a strapless bra. Those deep scoop necks tend to be so wide at the shoulder that they tend to show the bra straps. A strapless bra kills any strap visibility issues. In keeping with the Curvation #LookBookForAll theme, I encourage you to pin your latest fall looks on Pinterest and tag them with the #lookbookforall hashtag. I’ve loved the looks that I have seen so far. You guys look gorgeous trying on your fancy frocks. I can't wait to see more. I am in LOVE with Jibri's current collection, especially the winter white pieces!